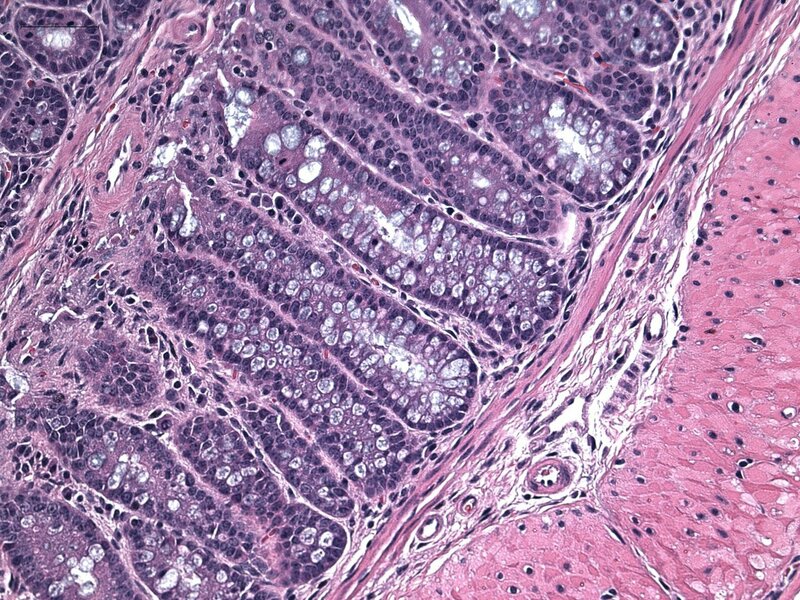 Shown here, cross section of gut of normal mice. 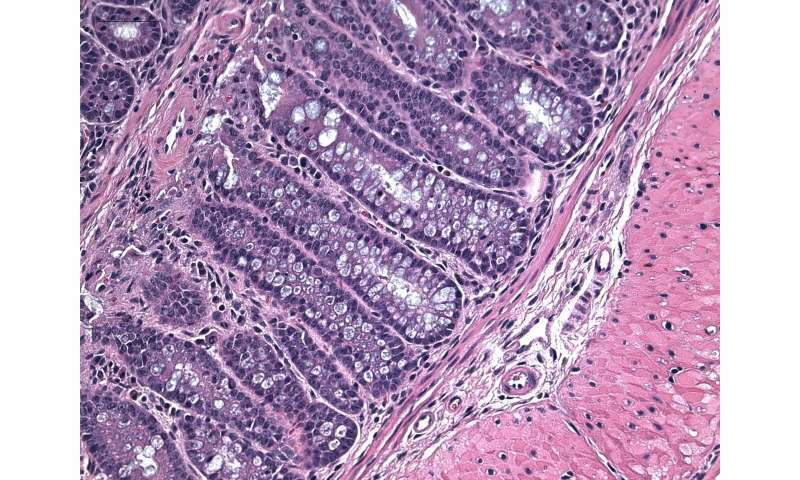 Researchers examined the gut of mice lacking TRADD and RIP and saw severe inflammation from dying cells. Credit: John Dowling, Jefferson (Philadelphia University + Thomas Jefferson University). Cellular death is vital for health. Without it, we could develop autoimmune diseases or cancers. But a cell's decision to self-destruct is tightly regulated, so that it only happens to serve the best interests of the body. Now researchers have discovered a novel role for a signaling molecule that was once considered a dispensable player, a discovery that could inform fields of research as diverse as cancer, autoimmunity, and in-utero development. The research was published in Nature Communications, February 11th. Years ago, researchers in the field discovered receptors on the surfaces of cells they called "death receptors." These molecules would send the cell into a cascade of cellular reactions that ended in death. Soon after, three molecules were discovered that contained "death domains," areas on the molecule that directly interacted with the death receptors and helped relay the message. These molecules proved so essential that without them mice lacking these death-domain molecules died young. At least that was the case in two of the three molecules. Of the three major death-relaying molecules, RIPK1, FADD, and TRADD, it seemed TRADD was less essential. Without FADD, mice died in utero. Without RIPK1, mice die shortly before or after birth. Without TRADD, mice seemed to do just fine. TRADD had a death domain—it clearly was connected to cell-death pathways—but its main purpose was unclear. Senior author, Jianke Zhang, Ph.D., a Professor of Microbiology and Immunology at Jefferson (Philadelphia University + Thomas Jefferson University) has been studying cell-death pathways for decades. Through the work of Dr. Zhang and others, it became clear that the roles of these molecules wasn't simply to turn on the death signal. Rather, in certain combinations they could protect a cell from death, rather than spur suicide. "The work sheds new light on the regulation of cell death and survival," said Dr. Zhang. "In certain contexts, such as in cells that have naturally low RIPK1 expression, TRADD could drive death or promote survival."